An enormous number of currencies already exist across the world (dollars, roubles, euros, yen, yuan, etc.) – most of them tightly held in the wallets of bourgeois minorities dazzled by the illusion of its self-valorisation – wherever the crisis of the production and sale of commodities rages. Anyone who needs products, even basic necessities (including food), cannot buy them without money in compliance with the dominant law of exchange value. And without solvent purchasers the guarantee of "adequate" profits vanishes, as the surplus value "created" by the use (i.e. exploitation) of labour power and its content in goods, even if sold at their "right" price, cannot be realised... Thus capital, instead of valorising itself and accumulating, enters its crisis! The way out for some would be to create an "alternative" currency, freed from the rules and controls of banks and governments, so that those who pocket them can look after their own interests, especially if ... those interests are a bit shady. Everything is based on trust in whoever issues that currency! But the opposite happened; the Union won the war but those greenbacks were the foundation of the dollar, a currency that has not proved to be very... "democratic". It became a military currency, necessary because the US capitalists were "guardians of democratic institutions in the world". Obama repeated this, arguing that American leadership was "indispensable for maintaining international order". Trump repeats this but with more arrogance. A "parallel" currency should only give reliability and have convertibility to legal currency. It would indirectly have a State "guarantee" which it sustains with tax revenues, public assets, a national economy and political and military support. Can you imagine a "parallel currency" without all this when the opacity of the "new" financial markets gets thicker and every movement of money inside them becomes a leap in the dark? The global financial casino is still open after the disasters of 2008: the power of those who manage it has increased despite being suspended on an abstract and purely nominal swamp of money. The so-called "economic fundamentals" that should support capitalism are in decline. In short: the real economy is not growing but the prices of private shares and bonds are rising (with the ECB buying the multinationals' securities!). A river of liquidity that goes to drug the surreal world of finance, forced to take greater risks in the illusion of making money by just moving it around. After the collapses suffered by structured finance (derivatives and other "instruments"), the financial sector survives only by subtracting part of the surplus value still "produced" by manufacturing industries, which have been in crisis for some time. But financial assets have a largely speculative character and lack the concrete possibility of "creating" surplus-value to offset the capital investment in production. This leads to strong market imbalances, dominated by uncertainty and insecurity, with attempts to adjust the value-cost of money, which then worsens rather than improves the situation; with the inevitable repercussions of bond market prices “suffering”, negative interest rates on deposits, etc. The recovery in the price of gold is significant – confirming the doubts about stock markets (where at the moment the shares have touched new historical highs ...). Its price was around $1,130 per ounce in January and $1340 about at the beginning of August (today – December 2017 – it is around $1250). There are those who "invest" in gold or silver and palladium, albeit with some caution. They look hopefully at the Fed's interest rate hikes: its "tight" monetary policy turns negative for gold and silver, whose price depends on the availability of dollars. The turnover of the currency issues ("circulating credit" issued by the banks with relative interest rates and exchangeable for real money) makes up the aggregate money supply which at the moment can also create inflation and – in the face of an insolvent banking situation, followed by collapse – could plunge the whole system into the abyss of a crisis as it grapples with piles of paper that should support what they have already lost, i.e. a real correspondence with the goods produced. This brings in gold which, although not directly represented as a means of exchange (or "golden bead" of decades ago), could ultimately guarantee against a collapse starting in the industrial sphere and widening to the monetary sphere of loans and currencies. In this monetary sphere the "transactions" today spread (that is, the purchase-sale of ... algorithms!) in a frenetic circulation of money that claims to make up for the stagnation of "product flows" and at the same time achieves ephemeral self-valorisations. Meanwhile, inflation – as many economists would like to see – has not reappeared: because the "consumption" of goods is weak, prices do not increase; instead, for a few, it increases the accumulation of wealth allowing them to engage in "financial" speculation and play the stock market. The question is: how is it possible to increase monetary values if the production of goods is strangled and the numbers of the poor are getting bigger? What is the reality behind these presumed values? Meanwhile, paradoxically, those "in higher places" argue for eliminating some excessive rules of "financial discipline", so that the sector can freely express its great potential...! It is not enough that, after the fateful year of 2008, liquidity has more than increased tenfold; it still lacks the "digital currency" to sink the piles of paper and computer “bits” that represent the financial world. Other than pointing (as in the past) to a devaluation that someone might consider "healthy" for an Italy freed from the euro, with the corollary of wages paid in a "parallel currency" and also subject to a "competitive devaluation” it would allow Italian capitalism raise to raise its head (so they say) and bring "economic growth" to the country: whilst other states would be looking with admiration at the "technological developments" of another people's finances! In the next financial tsunami – even some bourgeois "experts" foresee and fear – the growing clusters of cryptomoney will therefore be overwhelmed, since for some time now it has not just been the Central Banks churning out money through credit and debt mechanisms. The pirates of "alternative" finance – in the assault on all kinds of speculation, including the most criminal ones – now aim to privately create crypto-coins as means of payment and make them circulate, without rules or controls of any kind, by digital means over the entire planet. In the US, Goldman Sachs is massaging a project to formalise one of these virtual coins (really it is bitcoin). In addition, Israel has recently made available an ATM where bitcoins are changed into cash, or rather another cryptomoney (electronic cash) thus improving the speed of payments, with software updated in 8 megabyte blocks. This has a dramatic effect on the sequences of algorithms going crazy in this digital world, like the spinning of a gigantic roulette wheel. The madness of capital has no limits! All this while cheating, fraud and gangs of hackers on the Internet are multiplying day by day (hackers even "enter" the computers of the American state!) enjoying a feast at the wedding between the internet and finance. Bitcoin was launched in January 2009 with the prerogative of total independence from the central banking system and governments, for alternative world transactions (freed from the constraints of the international financial regime and the impositions of state laws), with the recent addition of platforms that allow Bitcoins to be exchanged for other currencies. On 1 April 2017 (note the date), Japan legalised bitcoin as a means of payment. All this is based on a public platform-register (blockchain) that would allow purchases and online sales of the cryptomoney in transactions which are not yet very fast, but without taxes and without profit being taken by intermediaries. Moreover, it comes with the use of an encryption claimed to be incomprehensible and impregnable to safeguard Bitcoin wallets. Still on the subject of anonymity, it should however immediately be noted that registration with the service involves the indication of some data (telephone, identity document, credit card or current account). There is also a list of virtual centres and stores that accept bitcoins: Microsoft, Subway Fast Food, tourist platforms, etc. These financial assets, via electronic networks, are comparable to the stock exchanges for the exchange of financial instruments (negotiable securities) with spaces for transactions that are nothing short of suspicious. 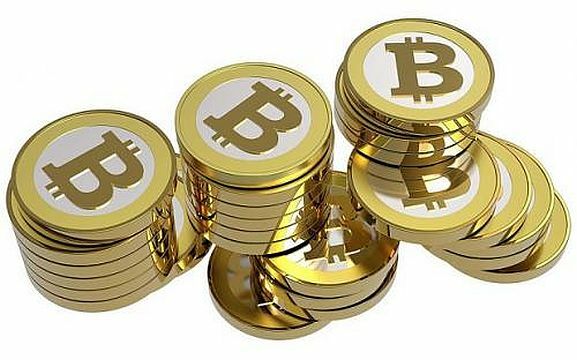 In addition, Bitcoin is subject to strong fluctuations: in mid-August a Bitcoin exchanged for $4.475.59 , in the middle of September it had fallen to $3.714 and today is again rising sharply. Volatility is therefore high, with moments of euphoria and others of depression but many hedge funds ready to invest in Bitcoins. Regarding its exchange rate in euros, according to what they say, it would seem that with the Xapo debit card you can already use the Bitcoins to withdraw cash in euros from ATMs that use the Visa card. This is an immediate "transformation", which however meets "limitations and suspensions" outside Europe. A warning: we are already talking about "advantages" that could push disadvantaged states to "outlaw" cryptocurrencies if they disturb their interests too much, as China has already done. Note that even some official currencies (which would have reached a capitalisation of $153.2 billion while the Bitcoin is $73.1 billion) already undergo the same treatment. However, we reiterate that for the piracy of "alternative finance" the coast is clear for operations of all kinds, both "normal" and openly "criminal". The giant steps in information technology are imposing it on the financial sector: this cane bee seen in blockchain platforms that set increasingly complex mathematical models that can be applied in vast fields and services, and where these platforms would allow the handling of 1,000 transactions per second. And of all kinds, including food chains for suppliers and consumers, the latter always insufficient for the purchase of mountains of goods that industrial production would be able to provide. It is therefore increasing the mammoth bubble that at any moment could explode and disrupt the entire system, starting with the digital economy again "inflated" bringing the technology index of Wall Street back to record levels of 2000 (when the capitalisation of the new economy suddenly vanished). Today we again find colossi that dominate the network: Facebook, Apple, Amazon (which has also got its hands on the Washington Post), Google, Microsoft (with Bill Gates’ pile of $86.2 billion). These businesses in themselves exceed the GDP of countries such as France and Great Britain. And now (in Chicago, December 10, 2017) comes the launch of Bitcoin futures, which brought its price to over $16 thousand! For the time being, it seems that only Goldman Sachs deals with futures of this kind for its clientele; there is an open fear of the risk of uncontrollable volatility, including the bubble, which would overwhelm the current capitalisation of cryptocurrencies, today at around $240 billion. (Other sources speak of 1,300 types of virtual currencies with a total capitalisation of about $300 billion) Still not much compared to the $80 trillion of shares listed in the world (according to Goldman Sachs estimates) which are also ready to explode. A good article from the ICT/CWO.